The 2016 RIO Olympics has come to an end. Last week I shared how winning medals isn’t truly the key reason for the games. To me the Olympics are not so much about who wins medals, but the stories behind the people who participate, and the life-long impact pursuing excellence can have upon athletes’ lives. 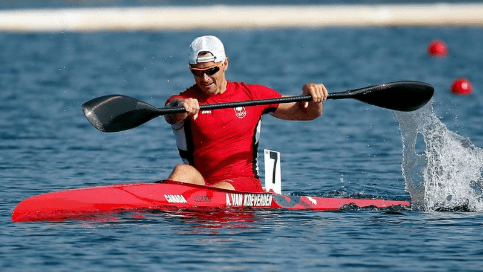 Adam van Koeverden has represented Canada as a sprint kayaker in four Olympic Games, and has won four Olympic Medals. This was not his best Olympics, having not qualified for the finals. I am amazed how much the world of professional sports and our own careers have in common. We learn some of our greatest life lessons from our professions. I also totally agree with Adam’s sentiment; most of the lessons are small, and build upon each other to help us grow into the best people we can be. “Our sport has taught me every lesson I’ve learnt in my life. It’s ripped my heart out and sent my heart racing with joy and excitement. My highest highs and my lowest lows were all as a result of my time in the boat. Sport has been my teacher, my girlfriend, my best friend and my worst enemy. It’s been my obsession, my emotional baggage, my strength and my weakness. Thanks, Adam, for being an amazing role model to myself and millions of other Canadians who are also pursuing their best selves. P.S.S. Don’t forget to join us for the next complimentary webinar: Ask Alan – Find Clarity & Take Control, on Wednesday August 24 at 12:00 pm ET. Click to RSVP & learn more!